We offer Spice Cabinets in two sizes, 6" and 9" and 12". Spice cabinets add functionality for cooking, as well as contemporary style and value. 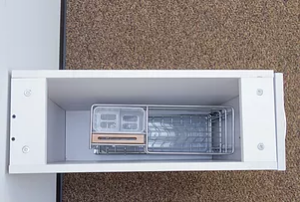 Featuring chromed pull-out drawer trays and smooth pull-out action, they offer ease of access using heavy-duty hardware and soft close mechanisms.